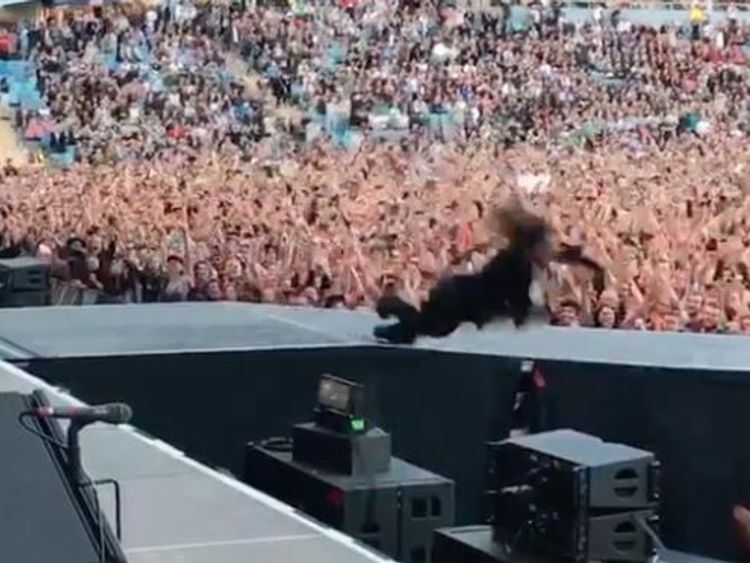 Foo Fighters fans may have thought history was repeating itself when Dave Grohl appeared to fall off stage at a concert in Sweden. Gothenburg is the same city where the rockstar fell and broke his leg during a gig in 2015.The accident forced the band to pull out of headlining the Glastonbury Festival and were replaced by Florence + The Machine. 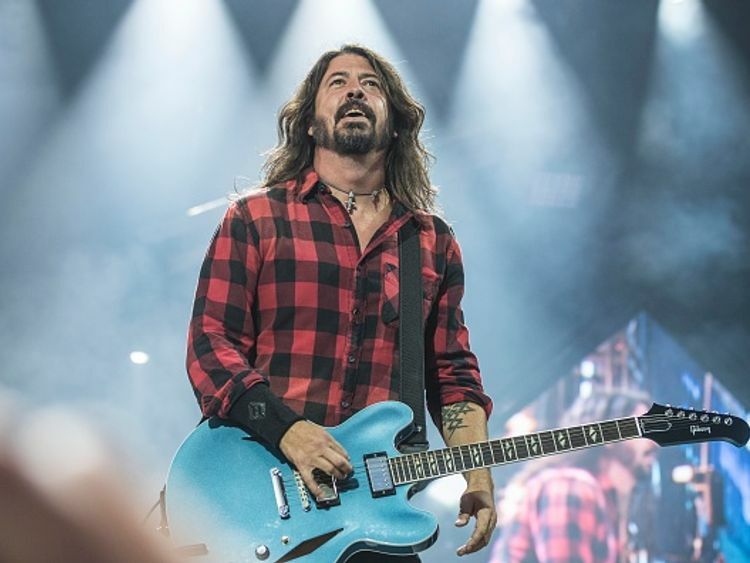 Grohl this week hit back at critics of the band who say they never change their sound.He told British Airways' High Life magazine: "I've never felt the need to chase something else. "And we get cursed for it: 'Oh God, it's another Foo Fighters record.' Well, yeah, I don't wanna make a reggae record. "The band are due to play in the UK this month, starting at the Manchester Etihad Stadium on 19 June and the London Stadium on 22 and 23 June.